offices in the basement of the FBI, but then Mulder’s quest was to find the truth. While not breaking the letter of the Goldwater “rule," some therapists break the spirit. I hesitated to post (an expanded version of) this piece on Daily Kos because most readers aren’t seemingly interested in psychology. But then I thought about it a realized I was the only person who has written numerous “diaries” about Trump from a psychological perspective, and I might as well continue. You can read comment here. If you are a mental health professional who has had experience diagnosing and treating numerous clients (like I have), and are inclined to do so, you should not be constrained by taking exception to the Goldwater rule. 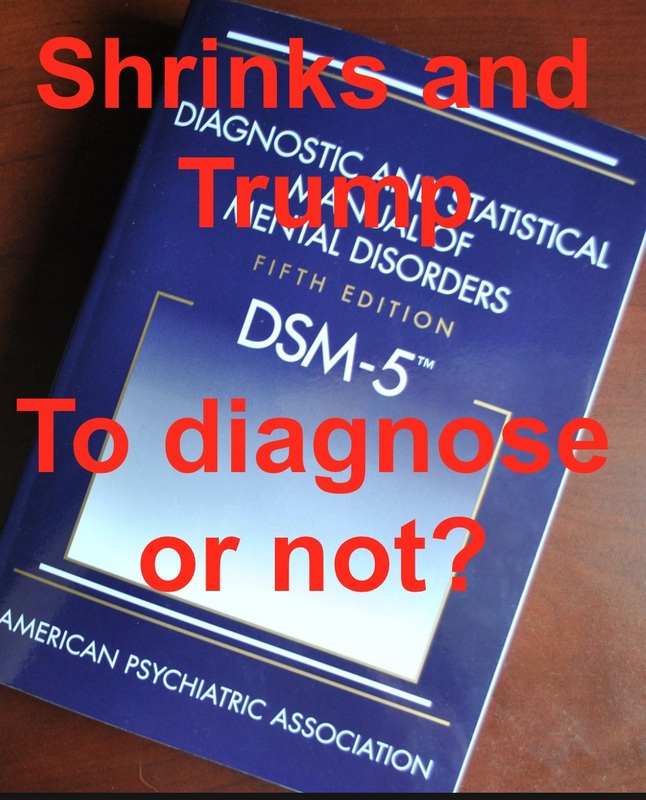 It is illuminating to know that some of the mental health professionals refusing to label Trump with a psychiatric diagnosis (and explaining what they base this judgment on) aren’t all primary clinicians. They may be professors with impressive looking resumes. 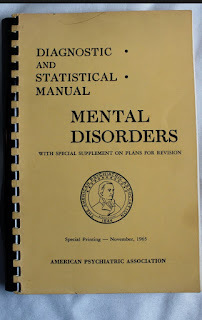 But that doesn’t mean they diagnosed and treated thousands of patients and are familiar with, and have used, the various editions of the Diagnostic and Statistic Manual (DSM) since the first edition when it was a cheap little booklet an a plastic binder. There is a good case to be made that it is unethical not to weigh in on Donald Trump with a diagnosis, and lend the credence of the mental health profession to a profile of the man who wants to be president. More than any other candidate in history he has given evidence of his personality, including from the author who spent 18 months with him while writing “The Art of the Deal” and the author who studied 600 of his Tweets. I just want to share that I have been personally BANNED (by the founder) from posting anything on the 1,200 member "members only” private mental health Facebook page focused on Trump’s unfitness to be president. The founder of the site, who was mentioned in a NY Times article and been on the Diane Rhem radio show, won’t allow any debate among his mental health professional online members to even debate the exceptions to the Goldwater rule, which says psychiatrists should not diagnose public figures from afar no matter how helpful lending their expertise to help public understanding. Instead he wants to use the word “Trumpsim” and dance around making an actual diagnosis. 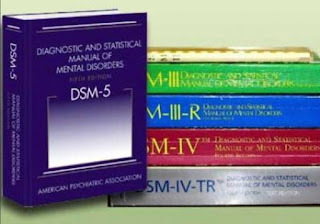 Of course this leaves it to anyone interested to plug everything they know about him into the DSM-5, as uncountable people have done especially for narcissistic personality disorder. Thus we have those the best qualified to explain why Trump’s personality and mental health status which make him unfit to be president are being admonished not to do so. Thankfully, there are notable exceptions breaking this “rule” among psychotherapist with more high status credentials than merely having been the director of a mental health center and clinician with 40 years of experience. IS DONALD TRUMP ACTUALLY A NARCISSIST? THERAPISTS WEIGH IN! As his presidential campaign trundles forward, millions of sane Americans are wondering: What exactly is wrong with this strange individual? Now, we have an answer. We need to understand narcissists like Donald Trump whose traits are extreme enough to have the actual diagnosis of NPD. After all, he could become president. 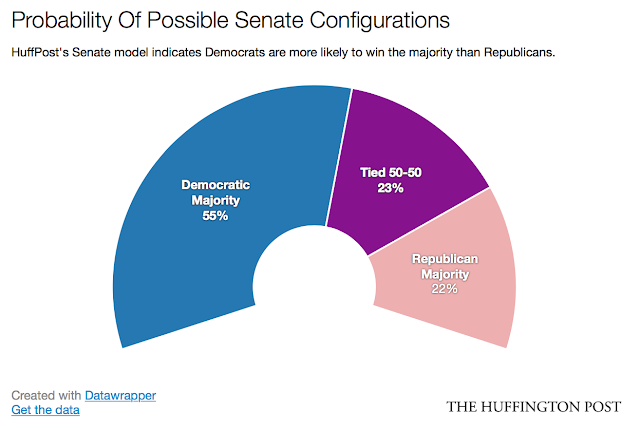 Now that this is become unlikely we need to be forewarned. Therefore, we need to understand narcissistic injury and narcissistic rage. 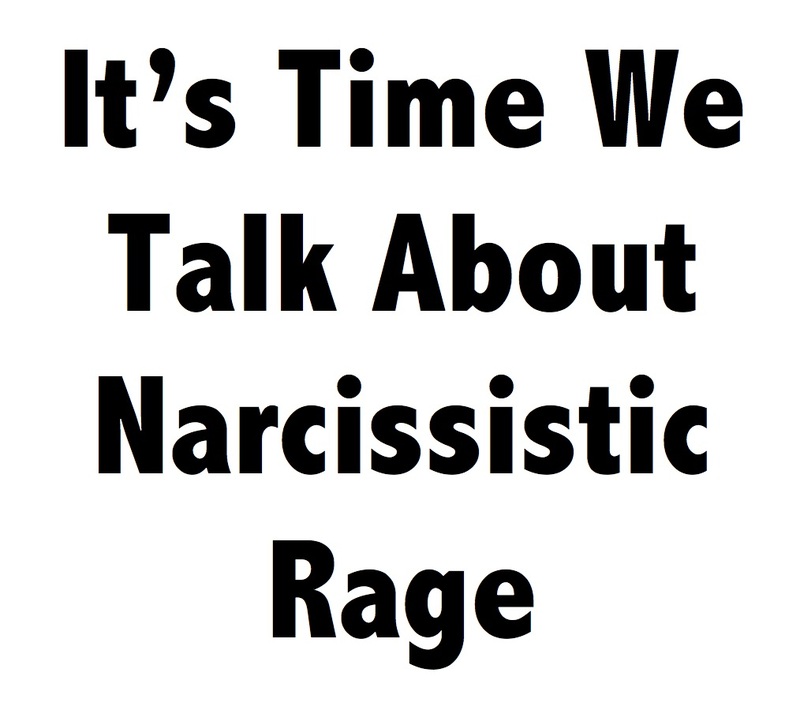 We must understand what happens when circumstances drive extreme narcissists into a state of rage and consider what might happen when one has the power to influence and persuade a significant portion of the population. "Narcissistic rage is the response of a narcissist to anything they perceive as a threat to their ego, their control or their power. It is usually intense, out of proportion, often random and is used to manipulate." This is what we can expect: "And at the same time the narcissist may also be plotting how to get revenge on the person who dared to challenge them. So the person gets twice the punishment...!" Instead of his directing his rage against only person (Hillary Clinton) he may direct it against the system. What if Trump won't accept defeat? As their nominee unravels, Republicans worry where his scorched-earth, rigged-election rhetoric leads the GOP and the country. The last paragraph gives me pause, to say the least! While, as a Democrat who thinks the two party system is a bedrock of American democracy, I'd like the Republican Party to regain it's sanity. I think a Trump loss, especially one that gives the Democrats the Senate, and more power in the House, will move the GOP back to the party it was when Bush was president, which looks downright liberal in retrospect. But I think a Trump loss even if he doesn't absolutely nothing to encourage it, there will be a real feeling among the farthest fringe that they are been given license to act out on their feels of white entitlement. The more Trump encourages them by ranting about how he lost because the system was rigged, the more he throws gasoline on their rage turning it into a flaming and dangerous fury. I won’t resort to hyperbole. It should go without saying what could happen when unstable people feel empowered to act on their anger. Here’s a non-clinical article by Mark Goulston, M.D., the author of seven books, including his #1 international best seller(link is external), "Just Listen" Discover the Secret to Getting Through to Absolutely Anyone(link is external), and his newest book, Talking to Crazy: How to Deal with the Irrational and Impossible People in Your Life(link is external). What is really at the core of narcissists is an instability in their ability to feel and sustain feeling bigger, larger, smarter and more successful than everyone else which they need to feel stable. And just as Hamlet’s mother said, “the lady doth protest too much,” “the narcissist doth brag, scorn, talk down, primp and belittle too much” in order to continually prove to the world and themselves that they are larger than life. This is not to increase their self-esteem as much as it is to continually spackle the holes in their core that lead to a feeling of instability—and that, if not spackled, will lead to brittleness followed by fragmentation. Narcissistic rage occurs when that core instability is threatened and furthermore threatened to destabilize them even further. 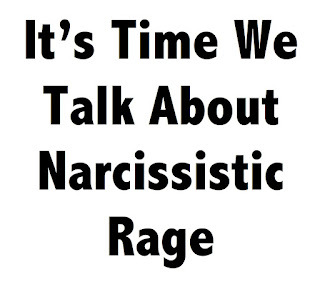 Not unlike a wounded animal being the most vicious (because they think the next wound would kill them), narcissistic rage occurs when narcissists believe the next insult/assault to their grandiose based stability would shatter them. 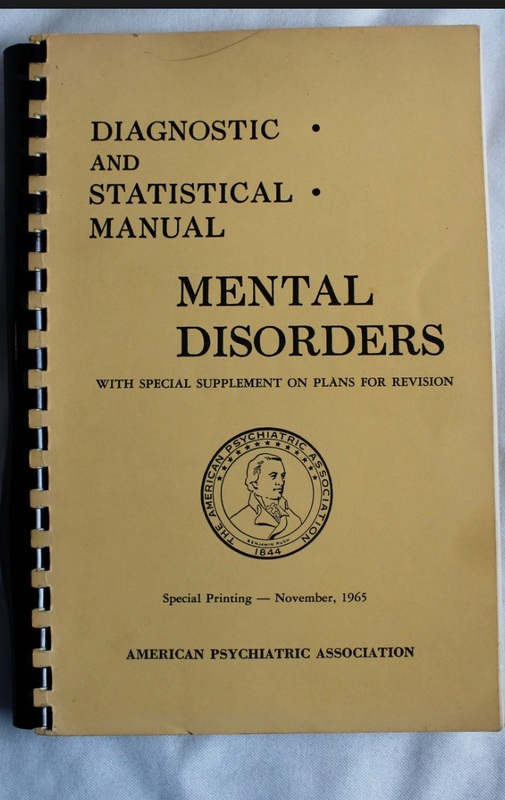 Many experts use the criteria in the Diagnostic and Statistical Manual of Mental Disorders (DSM-5), published by the American Psychiatric Association, to diagnose mental conditions. This manual is also used by insurance companies to reimburse for treatment. Although some features of narcissistic personality disorder may seem like having confidence, it's not the same. Narcissistic personality disorder crosses the border of healthy confidence into thinking so highly of yourself that you put yourself on a pedestal and value yourself more than you value others. I’m not going to quote further chapter and verse about narcissistic rage. Anyone interested in learning more about it can Google it and apply it to Donald Trump. I am also not going to respond to any comments lambasting me for being unethical for breaking the Goldwater Rule. It occurs to me that I was thinking big picture when I wrote this diary. It’s easy to envision worst case scenarios of people acting violently against the minority groups Trump has disparaged involving more hate crimes. I can see crimes against institutions they believe had a part in the downfall of their Superman (such as the media — a newspaper office for example). 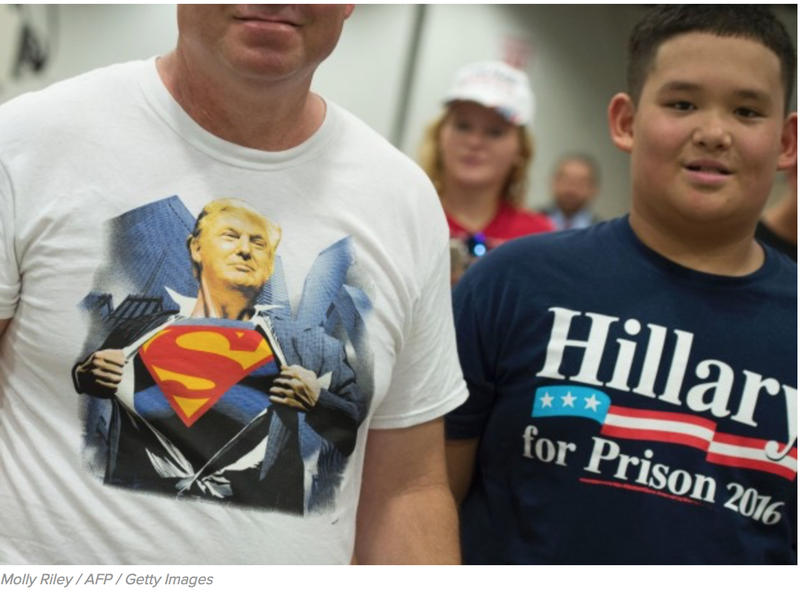 But thinking about the picture possibly of father and son above, it hit me that the ramifications of Trump’s vengeful rhetoric and blaming would most likely influence the young. I can see an increase in bullying incidents. We know there are lots of young bullys out there. Now an entire subset could be felt their bullying is justified. of the African-American vote once again. I want an inclusive country, and I want an inclusive party. 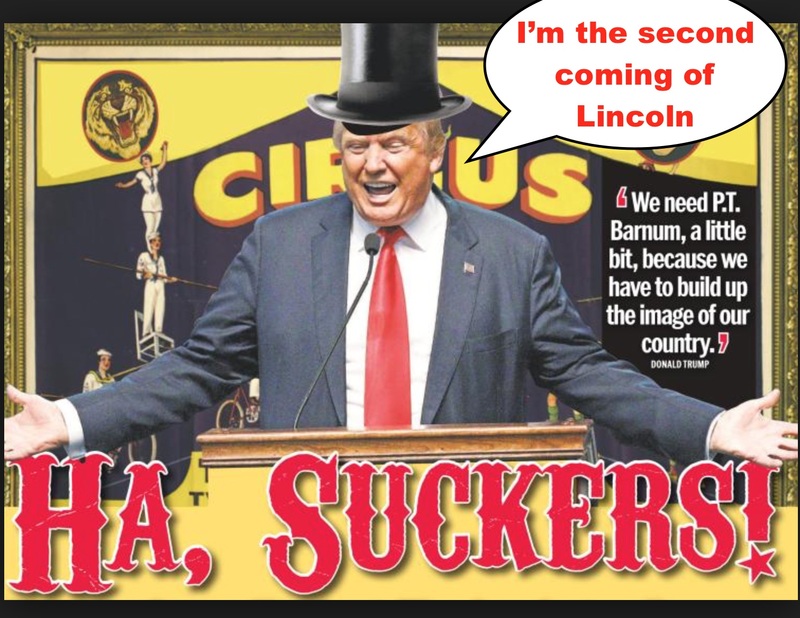 We know his courting black voters by mouthing the history lesson about the how Republicans are the party of Lincoln (uh, were the party of Lincoln, the Great Emancipator) is really aimed at middle class white Republican voters who don’t want to vote for a racist. Will they buy it…. well, we all know the saying (wrongly) attributed to P.T. Barnum. I really don’t have much to say, although this topic is certainly worth discussing. I merely wanted an excuse to share the the photo-toons I made this morning. ​First thing this morning I was watching Trump making his supposed plea to black voters to vote for someone new because the Democrats have don’t nothing for the African-American community. Does a gag line make you gag? When he assured his rally audience (who seemingly was indifferent) that he could guarantee that under him in four years 95% of all blacks would support him…. where’s the barf bag? Then I read “Donald Trump is a con artist, playing his supporters for fools” by Lawrence Lewis…. and was inspired to search for a photo of P.T. Barnum and found the one with the top hat. I figured that it should have a special caption. Oh yeah, and by the way, I’m not a racist, did I mention, I’m not a racist? 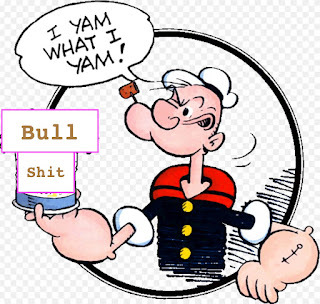 And the illustrious and ever desperate head of the RNC, Rence, just said that the American people “want that safe product” which is Trump… yes, he said “product!” Safe, if he was a product in a grocery store he’d be pulled off the shelf for being toxic. There are two stories here. One of course is the misogynist crude language used by the man who is now one of Trump’s closest advisors. I suppose if asked about it he could say he was actually being the opposite of a sexist pig because he could have said the Republican leaders in Congress were pricks. I suppose calling a man the c-word is more on an insult than calling him a prick. I mean, it’s like calling them girly boys ten times over. 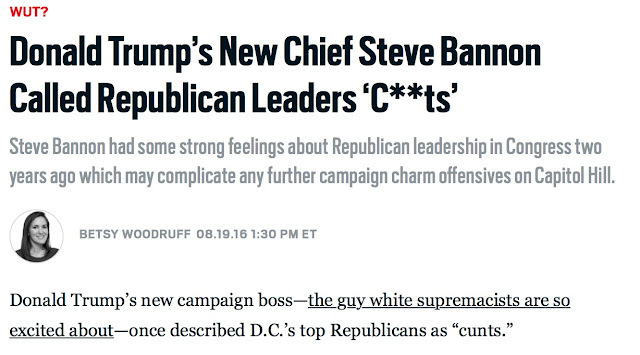 The second story is about why the C word is spelled “C**ts” in the Daily Beast headline but the word is spelled out five times in the story. I posted this on Daily Kos and there have been 81 comments. 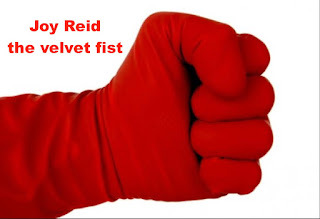 themselves get skewered by Joy Reid? This is a convenient and plausible lie. We know that Trump has proved he is loyal to reprehensible members of his inner asylum sanctum as long as they don’t prove to be too big an embarrassment. The prime example of this is Corey Lewandowski. If they are good at boot licking they get to stay. The real reason Trump fired Manafort is that he wasn’t willing to be a toady. Men like Manafort don’t grovel. 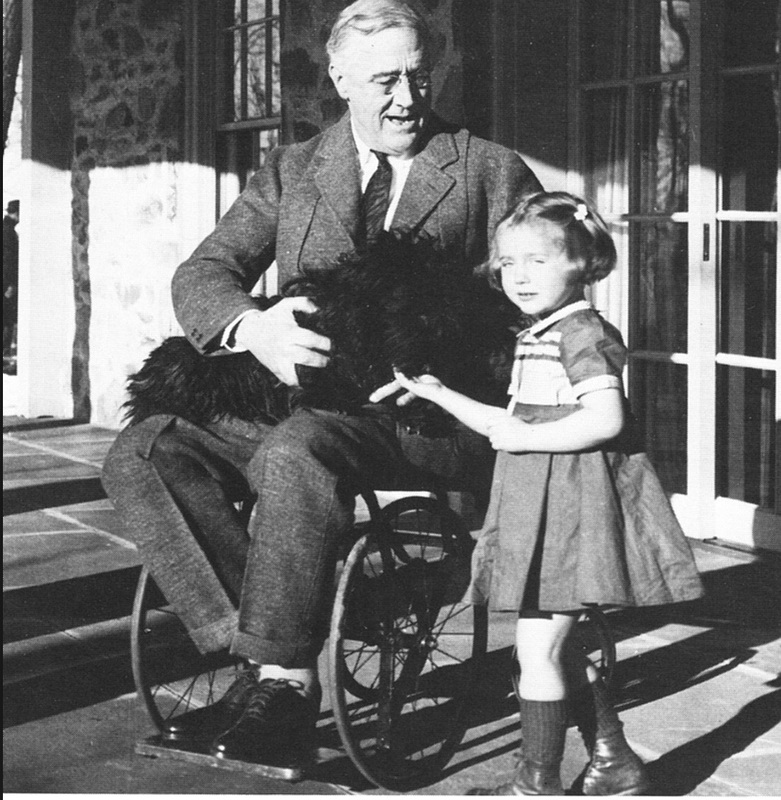 He was never Trump’s kind of man. Trump felt no kinship with him. 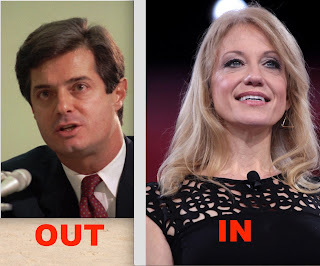 Manafort broke the cardinal rule, I mean the absolute number one rule, by urging Trump not to be Trump. You tell a reasonably normal person, even a run of the mill narcissist, and they don’t do the equivalent of firing you. Is Trump normal in how he handles anger? Look it up here. Manafort probably talked as if he knew more about politics than Trump did, and broke another major rule: never say or even hint you may be smarter than Trump. Manafort’s shoes were large enough to have to be filled by three people: Roger Ailes, Steve Bannon (of Breightbart), and Kellyanne Conway (read about them on Rolling Stone). Ailes and Bannon are peas of a pod with Trump. Conway is a real professional who has apparently said she will let Trump be Trump. However, her hand can already be seen in trying to stop Trump from being Trump. It’s likely that she wrote the non-apology “I regret some things” lines in his recent teleprompter speech. You could see that these words might as well have been Trump quoting Chaucer. He didn’t believe them and obviously his audience was in on the joke. Conway is the odd “girl” out in this men’s locker room cabal led by Trump. She certainly don’t fit in with any of Trump’s female surrogates. The only thing that she has in common with Omarosa and Kristina Peirsen is that she is female presumably menstruates (and we know how Trump feels about that). Trump has replaced the qualified Manafort with the qualified Conway who has already broken the promise she’d let Trump be the great Trump. How long would that fact that she’s Trumpian eye candy — maybe an eight on Trump’s scale —keep her on the team? My prediction: give her a month before we read reports that she has been marginalized and ultimate resigns in a glorious October surprise. Swimmer Ryan Lochte and friends won but then lost the Olympics. Instead of our great athletes taking up media time and space, these three disrespectful and immature are putting a face on the worst of American sports. Why has Trump hit the mute button on the Olympics, while Clinton has pumped up the volume? There’s a good reason for that, and a surprising one. The spectacle of America vanquishing its global rivals is—ironically, amazingly—utterly terrible for the “America First” candidate. A big part of his political message, the one you hear at his stump speeches, is that America has grown weak. America doesn’t win anymore, he says. “Crippled America” is the title of his most recent book. He alone can Make American Great Again. As someone who’s been around a few campaigns, believe me: The Olympics is about the worst thing that could have happened to the Trump train. Here’s a candidate whose message depends entirely on convincing Americans that they’re living in a failing nation overrun by criminal immigrants. And for the past two weeks, tens of millions of Americans have been glued to a multi-ethnic parade of athletes, winning easily. “Make America Great Again” has never felt more out-of-touch than it does against the backdrop of tenacious, over-achieving American athletes driven by their own journeys in pursuit of the American Dream. According to Politico, while Olympic TV coverage pumped news and opinion shows off TV, the savvy Hillary camp made sure that they aired their most effective ads during the Olympics. Trump didn’t. 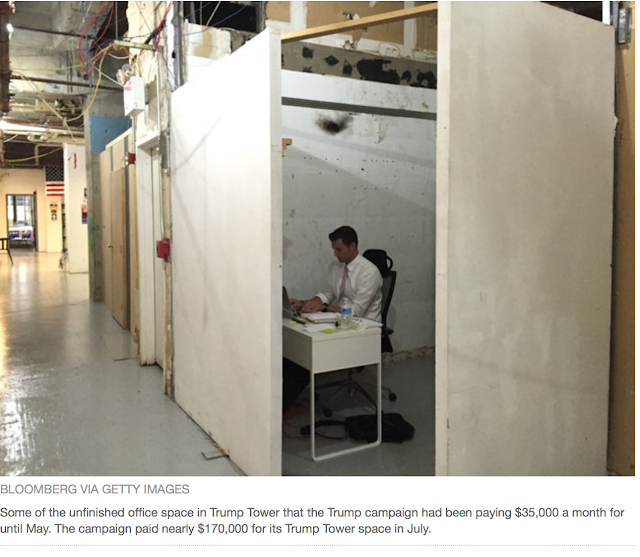 So much for their brilliant campaign strategy. You can bet that if the United States defied exceptions and suffered defeat after defeat in the Olympics, Trump would be lamenting that this was further proof that America was no longer great. 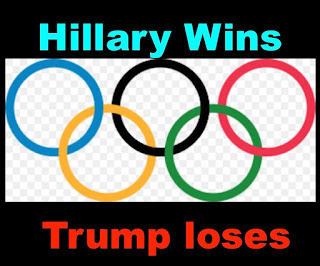 I really don’t like supporting using the Olympics for political purposes, but Hillary's team could use our athletes victories to make a case that America is great. She could do it by not so subtly referencing Trump’s slogan and congratulating the athletes at the same time. Lexicographers are no doubt already trying to find all the definitions of Trumpism for the next dictionary editions. But how do you explain that he he took the word “great” and turned it into a political statement. In a perfect world politics should be kept out of the Olympics, but there are historic examples when the headline Olympic news had everything to do with politics. For example, the most notable: Jessie Owens, Cassius Clay/Muhammad Ali, and Tommie Smith and John Carlos giving the black power salute at the 1968 Olympics. Meanwhile, Trump is trying to make political hay out of the Louisiana disaster even though officials are saying these visits should be postponed since they become a security nightmare and take needed resources away from where they are needed. 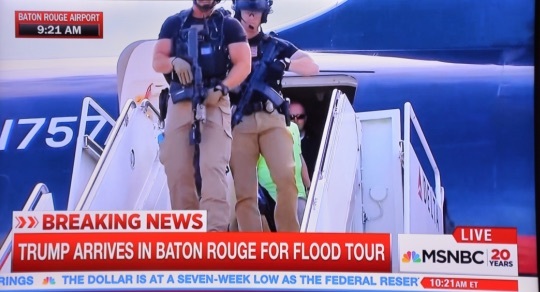 He’s going for maximum photo ops by taking a tour of Baton Rouge, while if he really cared he’d have stayed at the airport and met with officials and residents there. And this has got to really burn Trump. 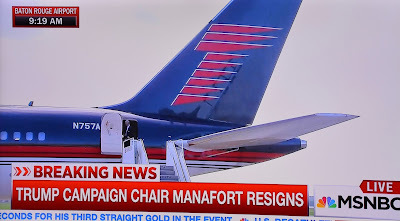 Just as his plane landed in Baton Rouge coverage of Paul Manafort’s resignation began. Talking about a bumpy landing! Manafort bumped Trump’s publicity stunt right off the news. nouna policy of seeking to retaliate, especially to recover lost territory. "Here’s the thing about Donald Trump: In his 14 months as a political candidate, he has demonstrated an utter indifference to the truth and to reality itself. He appears to seek only his own validation from the most revanchist, xenophobic crowds in America. He is trolling, hard." From Wired Magazine’s endorsement of Hilary. Unless you’re a mental health professional and join the group I described in my last diary 2,200 mental health professionals alarmed by Trump you can’t read an enlightening discussion among therapists about publicly diagnosing Trump. There is a private Facebook page just for therapists who sign the manifesto objecting to Trump because he is unfit to be president, mostly but not exclusively because of his temperament. They go to great lengths to avoid making a diagnosis for various reasons including the often expressed ones that to do so would be unethical to do so, and because they can’t make a diagnosis without a face-to-face assessment. However, when they do go public they use all kinds of words which actually describe his diagnosis, particularly narcissistic personality disorder, without actually making the diagnosis. I have explained my opinion in detail both here in 11 diaries, and on the new private Facebook page. To respect their privacy I can’t post what others have said from that site. Suffice to say that the responses to my comments are running against me three or four to one. While I am in the minority among psychotherapists, I have yet to be persuaded that I am wrong. I keep reading articles by therapists that dance around making an actual diagnosis. For example, in The Insanity of Narcissism the author of “Traumatic Narcissism” psychoanalyst Danial Shaw writes about Trumps psychiatric symptoms without actually calling them indications of his having psychiatric disorder in Insanity of Narcissism. Ironically, he uses the word “insanity” in his title which I would argue is more stigmatizing than actually writing about narcissistic personality disorder. He eventually gives Trump the “non-diagnosis” diagnosis a of malignant, traumatizing narcissist who is are capable of untold destructiveness. 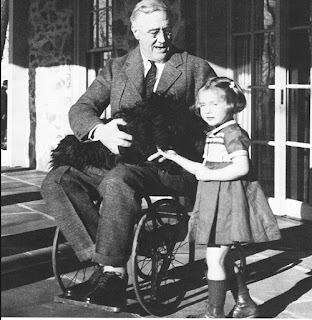 Most therapists who go on TV or write articles have agreed to constrain themselves by following the so-called Goldwater rule that keeps them from helping the public to understand better why Trump is unfit to be president by explaining the details of his diagnosis. The Goldwater rule has many attractive aspects. For example, it potentially constrains rogue psychiatrists who might be tempted to denounce the mental health of political figures on political bases alone. It also protects politicians from unflattering and potentially erroneous assessments of their character. On the other hand, I wonder who is to protect the public from unstable and problematic politicians? The legal scholar Stanley Fish distinguished between psychiatrists and psychologists by emphasizing that psychiatry, as a branch of medicine, is primarily a healing profession. The obligation of psychiatrists is to the well being of their patients. I see the reasons offered by these therapists. I happen to think Trump is the exception that breaks the rule! Something to think about: consider the history of psychology and the contributions by those who were willing to break the rules, starting with Freud. Noless a personage than Eric Fromm wrote about fascistic dictators before there was such thing as a diagnostic manual like the DSM-5. Erich Fromm, famous in the 1960s for “The Art of Loving,” published his first bestseller, “Escape From Freedom,” in the ‘40s, when he witnessed the popularity and the horror of Fascism in Europe. He was a keen observer of the personalities of dictators, whom he saw as narcissistic to the point of psychosis. This kind of narcissist, and Fromm mentions some of the most conspicuous 20th Century dictators as well as Nero and Caligula, has made himself God and the world, to himself. He has made of himself an Idol, and expects and demands total submission and compliance. Shmuel Ben David “Sam” Vaknin is an authority on the subject of narcissism, having written the widely read and very favorably reviewed book, Malignant Self Love: Narcissism Revisited and Narcissistic and Psychopathic Leaders. He may be described as a polymath, with extraordinary expertise (and experience) in abnormal psychology, and with focuses including temporal physics and politics (See his Web site, YouTube site, and Wikipedia bio). Some see Donald Trump's behavior in the media and become concerned. I recently had the opportunity to discuss him with Sam Vaknin. There are, Vaknin explains, nine criteria that a narcissist meets, and there is little doubt that Trump is “writ large” on every one. I am sure there are those who are tired of me writing about this, just as I expect that the same reader who keep reposting a comment telling me how unethical and insensitive I am will post again. I hope more people read this and respond to me usual poll again. I am hoping I will change some minds. by Daniel Shaw LCSW, who is a clinical social worker like me; but he's also a psychoanalyst. He is private practice in New York City and in Nyack, New York. He has gone published numerous psychoanalytic papers, and is the author of "Traumatic Narcissism: Relational Systems of Subjugation." This analyst admits he is champing at the bit to make a diagnosis but is resisting doing so. Then he goes on to beat around the diagnosis book (i.e. 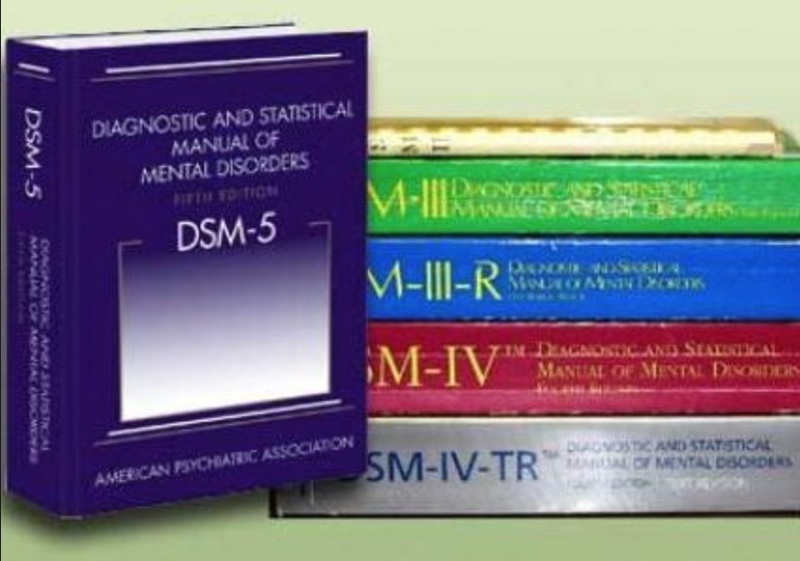 the DSM-5). So without identifying Trump he writes: "Perhaps I could speak a bit about narcissism in general, without naming names ― especially about the kind of narcissistic person that seeks and attracts followers to form some kind of big religious or political movement, with him or her as its supreme leader.” He eventually gives Trump the non-diagnosis of malignant, traumatizing narcissism who is are capable of untold destructiveness. Most therapists have most agreed to constrain themselves by a so-called rule that keeps them from helping the public to understand better why Trump is unfit to be president. I see the reasons offered here and elsewhere by these therapists, I happen to think Trump is the except that breaks the rule! Something to think about: consider the history of psychology and the contributions by those who were willing to break the rules, starting with Freud. Mental health practitioners generally agree that it is not appropriate to offer psychoanalytic diagnoses of public figures we’ve never actually interviewed or treated. However, many of us, myself included, are champing at the bit these days. It’s especially tempting for me, since I’ve been writing and thinking about narcissism for quite a while ― and one sees so much of what looks just like it these days, the minute one turns on the news. Perhaps I could speak a bit about narcissism in general, without naming names ― especially about the kind of narcissistic person that seeks and attracts followers to form some kind of big religious or political movement, with him or her as its supreme leader. If you have the interest and time here’s an excellent audio discussion on the Diane Rehm radio show about the ethics of “Tumpology” (diagnosis of Trump) in the mental health profession. In 1964, damaging and completely erroneous psychological assessments were made about then-presidential candidate, Barry Goldwater. The American Psychiatric Association instituted a new guideline: psychiatrists should not offer opinions about people they’ve not personally examined. But in recent weeks, some psychiatrists, psychologists and other mental health professionals have broken this rule. They are speaking out about what they see as Donald Trump’s unfitness to be president. The pitfalls of diagnosing from afar and when personality disorders can be strengths. In an extensive interview with American Thinker, Vaknin explains that he first connected narcissism to the political stage in a 2008 essaywhere he suggested that then-senator Barack Obama was, in fact, a narcissist, but he also wrote that Obama was intelligent and pro-social, and that while Trump repeatedly to be the former, he is “definitely not the latter,” and that he should be considered “much more of a menace than Obama ever was” to the United States. 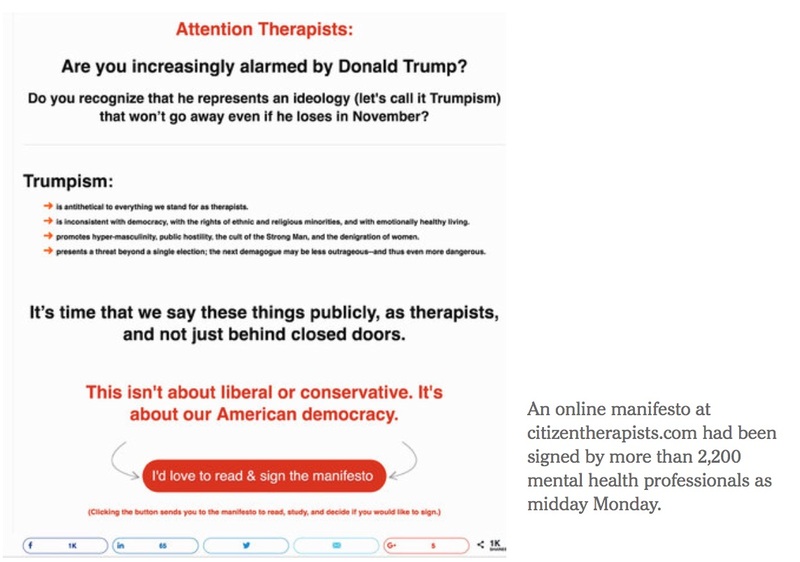 From online manifesto signed by 2,200 mental health professionals at http://citizentherapists.com — Are you increasingly alarmed by Donald Trump? Do you recognize that he represents an ideology (let's call it Trumpism) that won’t go away even if he loses in November? Trumpism: is antithetical to everything we stand for as therapists. is inconsistent with democracy, with the rights of ethnic and religious minorities, and with emotionally healthy living. promotes hyper-masculinity, public hostility, the cult of the Strong Man, and the denigration of women. presents a threat beyond a single election; the next demagogue may be less outrageous--and thus even more dangerous. It’s time that we say these things publicly, as therapists, and not just behind closed doors. This isn't about liberal or conservative. It's about our American democracy. "The Psychiatric Question: Is It Fair to Analyze Donald Trump From Afar?" Count me among the mental health professionals (as a retired clinical social worker and mental health center director who was licensed to diagnose and treat patients) who disagrees with the Goldwater Rule under special circumstances. While the mental health professionals who put together the manifesto do not diagnose Trump, they use their expertise to “analyze” his temperament, character, disposition, as well as his beliefs. Now, while Republican physicians are speculating about Hillary Clinton’s physical fitness to be president while Trump himself has started not only saying she is (mentally) unhinged, but that she looks like she had a stroke, and has trouble walking up a flight of stairs unaided, and needs to sleep between brief speeches. Obviously the physicians that speculated on this have scant evidence to go on. Physical diagnosis requires an examination and often tests. Psychiatric diagnosis is usual accomplished with a face-to-face interview or two, and infrequently psychological tests like the Rorschach and MMPI. However, because Trump has been unscripted in so many of his rallies and demonstrated a wide variety of symptoms of disorders that make him temperamentally unfit to be president. Even if we don’t count his lack of empathy (a characteristic of narcissistic personality disorder), there’s his pathological lying (pseudologia fantastic) and fantastic confabulation and his impulsiveness. Add to this that his narcissism makes him highly unlikely to heed advice that challenges his beliefs. While not showing enough symptoms to make a likely diagnosis of paranoid personality disorder he does seem to believe a lot of conspiracy theories. Also not a true anti-social personality (aka sociopath) he seems to relish being a bully and his NPD lack of empathy is also a characteristic of this with anti-social personality. If Trump was somehow persuaded to undergo a psychiatric examination knowing the results would be public he’d be guarded and I’d wager figure out that he’d better not let his unhinged stream of conscious and word salad speech take over. I wouldn’t be surprised if he took some Xanax prior to his interview. In fact, if I was his campaign advisor I’d suggest he do so. The 2016 Republican nominee’s incendiary, stream-of-consciousness pronouncements have strained that agreement to the breaking point, exposing divisions in the field over whether such restraint is appropriate today. As psychotherapists practicing in the United States, we are alarmed by the rise of the ideology of Trumpism, which we see as a threat to the well-being of the people we care for and to American democracy itself. We cannot remain silent as we witness the rise of an American form of fascism. We can leverage this time of crisis to deepen our commitment to American democracy. Scapegoating and banishing groups of people who are seen as threats, including immigrants and religious minorities. Degrading, ridiculing, and demeaning rivals and critics. What are the Effects of Trumpism? We must speak out for the well-being of people we treat and care for in our work. Trumpism will undermine the emotional health of those seen as the “other” in America—both historically denigrated groups and those whose turn will come. And it will compromise the integrity of those who are seduced by the illusion that real Americans can only become winners if others become losers. The public rhetoric of Trumpism normalizes what therapists work against in our work: the tendency to blame others in our lives for our personal fears and insecurities and then battle these others instead of taking the healthier but more difficult path of self-awareness and self-responsibility. It also normalizes a kind of hyper-masculinity that is antithetical to the examined life and healthy relationships that psychotherapy helps people achieve. Simply stated, Trumpism is inconsistent with emotionally healthy living—and we have to say so publicly. We must speak out for the well-being of our democracy, which is both a way of living and acting together and a set of political institutions. Therapists have taken for granted how our work relies on a democratic tradition that gives people a sense of personal agency to create new narratives and take personal and collective responsibility for themselves, their families, and their communities. Reliance on a Strong Man who will solve our problems and deal with internal and external enemies is a direct threat to the democratic basis of psychotherapy. Therapy only flourishes on democratic soil. Why speak collectively? Our responses thus far have been primarily personal—and too often confined to arm-chair diagnoses of Donald Trump. But a collective crisis faces our nation, a harkening back to the economic depression and demoralization of the 1930s (which fed European fascism) and the upheaval over Jim Crow and Black civil rights in the 1950s. Fortunately, the resolution of these crises led to a deepening of American democracy, not the abandonment of it. Martin Luther King, influenced by his mentor Bayard Rustin and by theologian Reinhold Niebuhr, didn’t just critique unjust systems from the outside. He called for strategic, collective work to take back an American democracy that belongs to all the people. As therapists, we have been entrusted by society with collective responsibility in the arena of mental, behavioral, and relational health. When there is a public threat to our domain of responsibility we must speak out together, not just to protest but to deepen our commitment to a just society and a democratic way of life. This means being citizen therapists who are concerned with community well-being as much as personal well-being, since the two are inextricably joined. We understand the draw of Trumpism and we acknowledge that some of our fellow citizens, and some of our clients, may vote for Donald Trump not because they embrace all aspects of Trumpism but because they are frustrated with their circumstances and fed up with the current political system. We are against Trumpism and its architects, not against those who are inclined to give it a chance to change the direction of the country. But we reject the false equivalence of saying that because there is dishonesty and demagoguery on all political sides, why not support someone from the outside? Trumpism is qualitatively different. To repeat: Trumpism undermines the core of American democracy by promoting the idea of a single leader who will bring greatness to the nation by battling Those People. Democracy requires personal and collective agency so that we can work together across differences to solve problems and develop a shared way of life. Psychotherapists must be firmly on the side of democracy and work in solidarity with groups directly threatened by current and future versions of Trumpism. This work will not end with the election in November 2016. The wake-up call has been received. Our first response is this manifesto. More to follow. Therefore, as citizen therapists we stand united against the dangerous ideology of Trumpism, and we encourage others to join us in a deepened commitment to a democratic way of life that engages the talents, yearnings, and capacities of all the people. Dr. Appelbaum ( a professor of psychiatry, medicine and law at Columbia University who disapproves of diagnosing politicians) calls this distinction a convenient splitting of hairs. “It takes a skilled therapist months, sometimes longer, seeing a person regularly and asking probing questions to make a determination of whether a disorder is present,” Dr. Appelbaum said. Actually Appelbaum’s notion that it takes months to make a diagnosis is a bit of professional snobbery. Most clinicians make a tentative, usually correct, diagnosis in one or two sessions unless the patients exhibits complex symptoms — suggestive of a constellation of disorders, or a hard to diagnose disorder like dissociative (multiple personality) disorder or a neurological disorder like temporal lobe epilepsy which can cause hallucinations (suspicion of this requires a referral to a neurologist). Just a thought: Trump wants extreme vetting for VISA applicants. How about requiring extreme vetting for presidential candidates? Start with requiring they release their income tax returns. A Rorschach Test and MMPI should also be required. Not fit enough to fight World War II? Trump is saying that Hillary isn’t physically fit enough to fight ISIS. New to this blog… read previous “editions” here.